The Centre at Casino New Brunswick is a state of the art multi-purpose concert and special event venue. Casino New Brunswick will present a yearly concert schedule and the Centre will be available for 3rd party rentals. The Centre will offer extremely lucrative rental packages to concert promoters, special event planners and organizations during non-operational periods on our performance schedule. The Centre can be used for live concerts/performances, conventions, conferences, or large scale sporting events. We offer the resources and production capabilities to make any event, a "WOW" event. At the heart of our in-house inventory is a 2.2 million dollar sound, lighting and staging installation. This system is capable of accommodating world class touring artists. 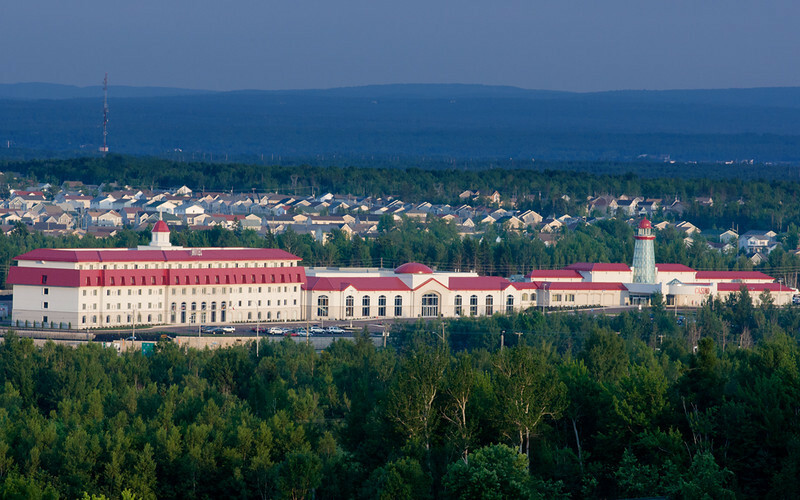 The Centre at Casino New Brunswick was designed to have the infinite ability to be reconfigured and is assisted in this by digital connectivity that has been built into the entire venue can accommodate all the needs of any concert promoter or special event planner. This is a one stop shop with the Centre being able to accommodate all of your daily show needs, artist accommodations, full catering in food and beverage and artist rider requirements. The Centre can provide a complete production team well versed in live concert presentations, as well as any local crew requirements and backline. The Centre can also provide flawless execution of your event with our extensive in house ticketing system which provides for on line sales, as well as a 24 hour a day bilingual call center and custom designed event ticketing. In regards to event execution, the Centre is fully equipped with event management software that can render room diagrams and event layouts which are certified within 1 cm of the drawing. This software is used in the majority of live event venues in North America and makes the process of room design and layout exceptionally easy. It also allows the Centre to provide our clients with a three dimensional computer rendering of the event before it even takes place. The Centre at Casino New Brunswick is a state of the art multi-purpose concert and special event venue. Casino New Brunswick will present a yearly concert schedule and the Centre will be available for 3rd party rentals. The Centre will offer extremely lucrative rental packages to concert promoters, special event planners and organizations during non-operational periods on our performance schedule.